Building the belt drive reduction is a relatively easy task with a few tricky parts which we will cover here. All drawings are for a flat 16РК multi-V belt. We have tested these configurations and know them to work with no issues whatsoever. The Belt drives from the plans slightly differ from the ones in the pictures. 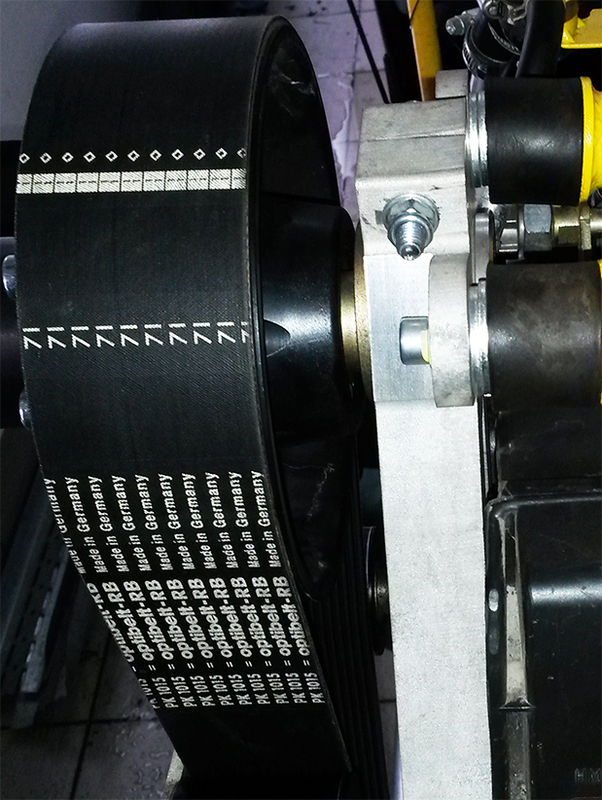 The drawings of the belt drives were optimized, so that the expensive and unnecessary machining was removed. The belt drives were calculated only for pusher propeller and MUST NOT be used in any other configuration! You need a CCW propeller ! BELT DRIVE 2.58 ratio for Silverwing FSJ600-PF01E – this setup is suitable for smaller, faster propellers turning at about 2900 – 3000 RPM. We have successfully tested this configuration with e-props NG-D adjustable propeller 3 blade 150 and e-props 2 blade not adjustable 145 – noisy but weight 850 gr. only !!! 2.58 drive it is not suitable for e-props NG-D 1.60 due to high peripheral speed (this is already tested). 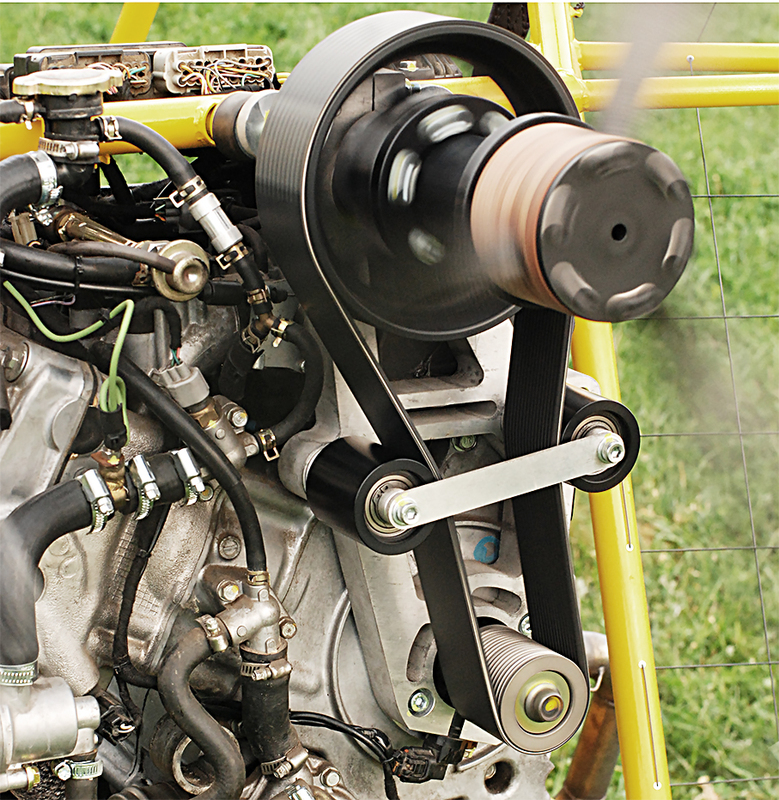 BELT DRIVE 3.35 ratio for Silverwing FSJ600-PF01E – this setup is suitable for large, slower propellers turning at 2400 – 2450 RPM. 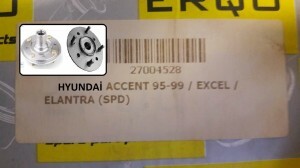 In reality this describes most of the propellers rated for and around 50 horse power that are available on the market . Their diameter ranges between 1.55 and 1.65 meters for both wood and composite. 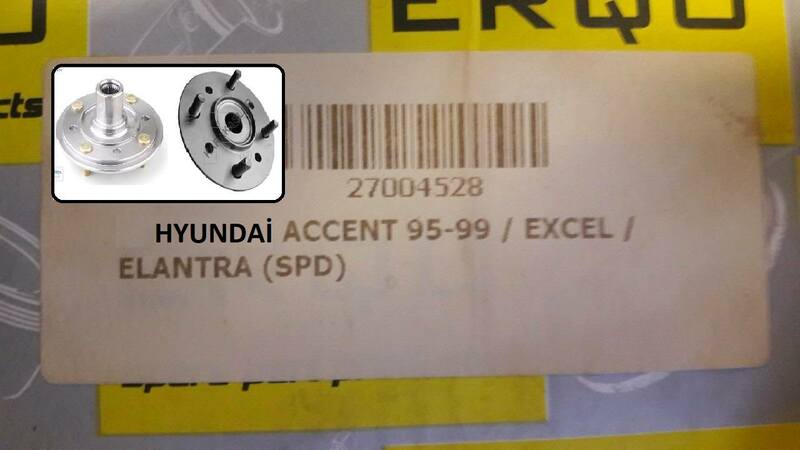 This type of propeller requires slower turning speeds in order to guarantee the smooth operation of the engine at 7500 – 8200 max RPM with propeller peripheral speed staying under 0.6 MAX. The main thing with the belt drive for FSJ600-PF01E is to create a sturdy frame of solid aluminum to support the drive pulleys and the damping pulleys. The drive must be equipped with the speed sensor described here http://ppgtrike.com/engine-conversion/. 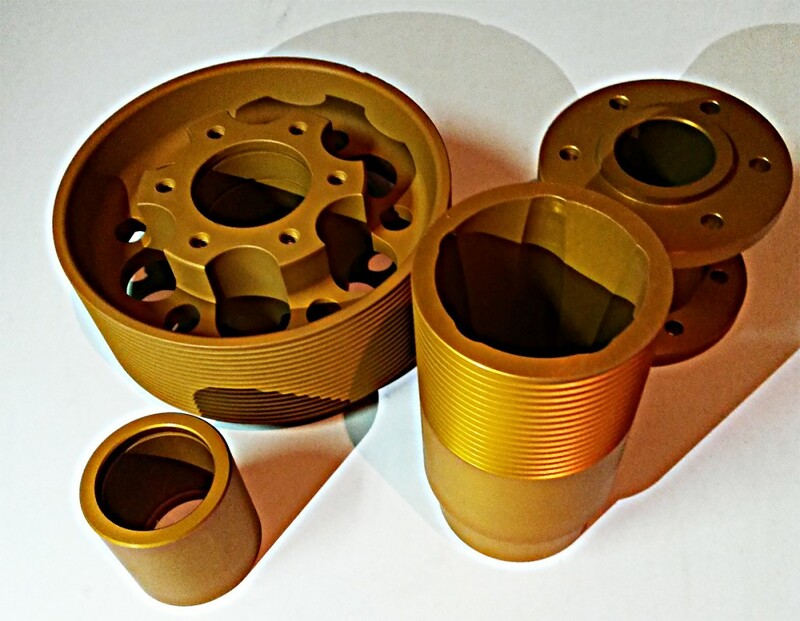 For best results, the pulleys should be fabricated on a CNC lathe to guarantee equal spacing of the grooves. The same can be done on a manually operated lathe but would require precision craftsmanship. Our friend pulleys for BMW project produced on CNC lathe. We recommend using the materials specified in the plans or replacing them with equivalent ones. These materials, apart from being used in the 3D simulations, have been flight-tested, which is most important here. According to the design, the base frame is to be cut out from a solid 30mm sheet of material using a water-jet cutter and then finished with a milling machine. 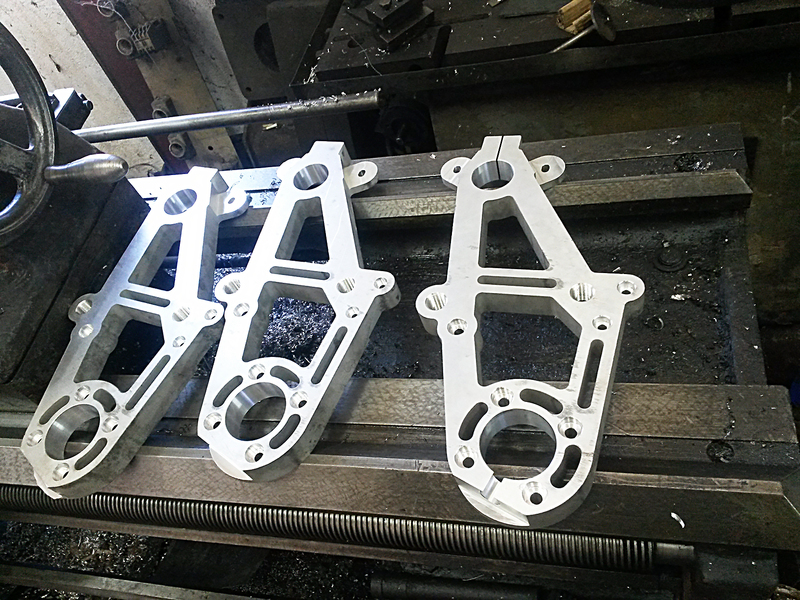 The cutting operations can be performed on a CNC machine, which is the more expensive option, or by hand using model from the drawings , which is very labor-intensive. The file attached at http://ppgtrike.com/download/ is in a universal digital format and can be used to cut out the base frame on a waterjet cutter or CNC machine, or can be printed out to make model. If you have decided to cut the frame out by hand using model, print the file from AUTOCAD or other software on 160gr/m2 paper (or heavier) in a 1:1 scale and you will have your model. 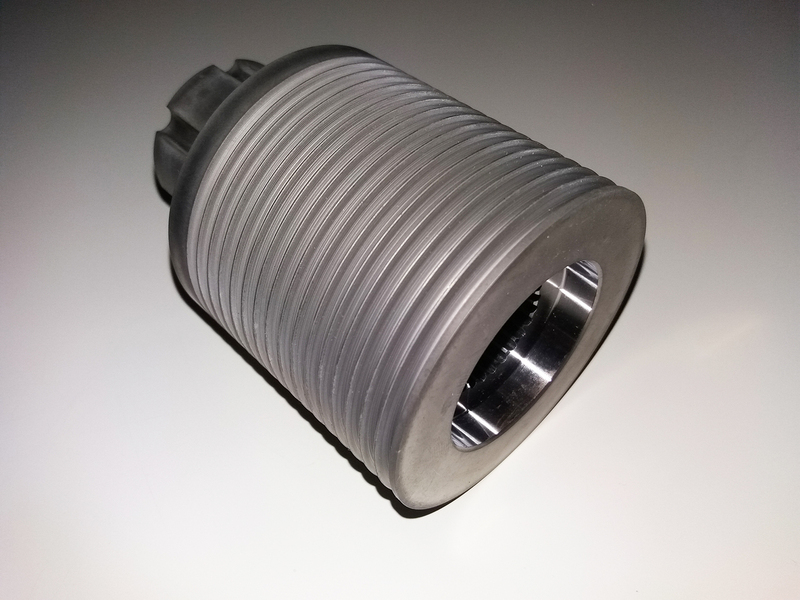 It is very important to fabricate the eccentric shaft to a very high standard of precision. The axes of the two cylinders of component from the plans P5 must be dead parallel. If this requirement is not met, the surfaces of the upper and the lower pulley will not line up causing unacceptable twisting of the belt. This is the most complex and hard to make part in the entire build. Cutting internal splines, is a difficult thing to do and few machine shops have the right equipment for the job. The splines on the crankshaft of the FJS600 engine are not standard. In the drawings we have provided the necessary allowances, but the splines must be cut depending on the crankshaft . Update – Very interesting information provided by Sebahattin Çetin from Turkey. 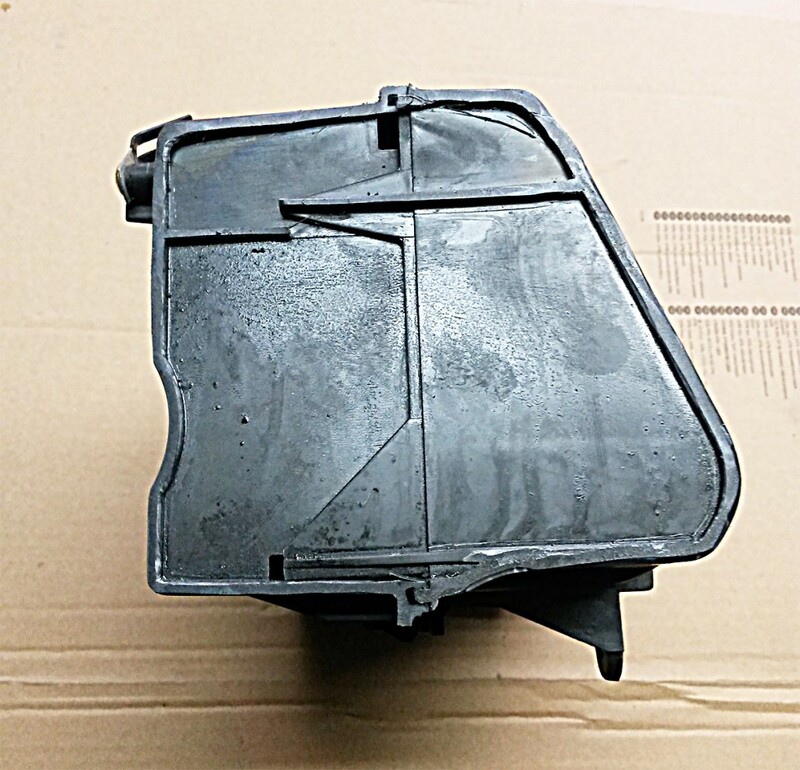 Before installing the engine, you need to shorten the engine’s air filter box so it does not stick out past the interior bulkhead as shown. The upper rubber mounts of the belt drive are intended to support the force created by the propeller. It is very important to use these mounts because they do not allow the engine to twist under the thrust from the propeller. 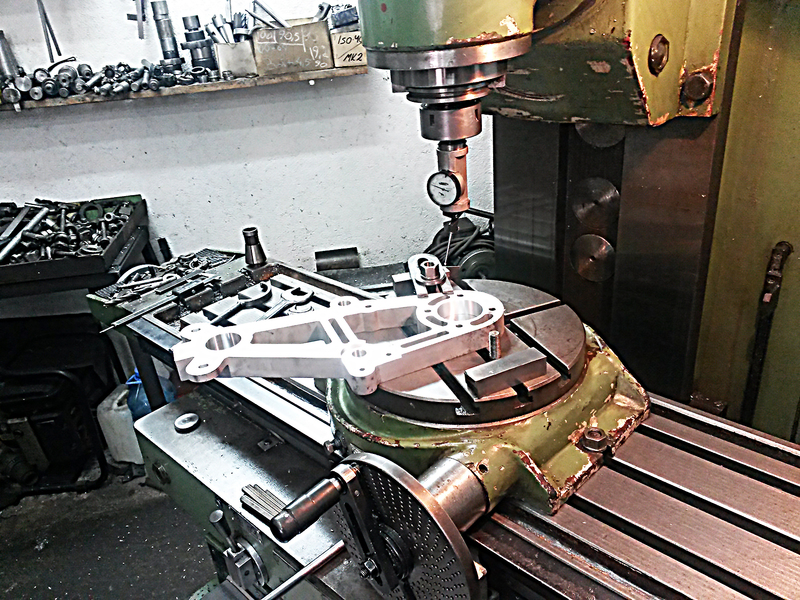 The design of the lower mounts depends on the particular paratrike you are building. 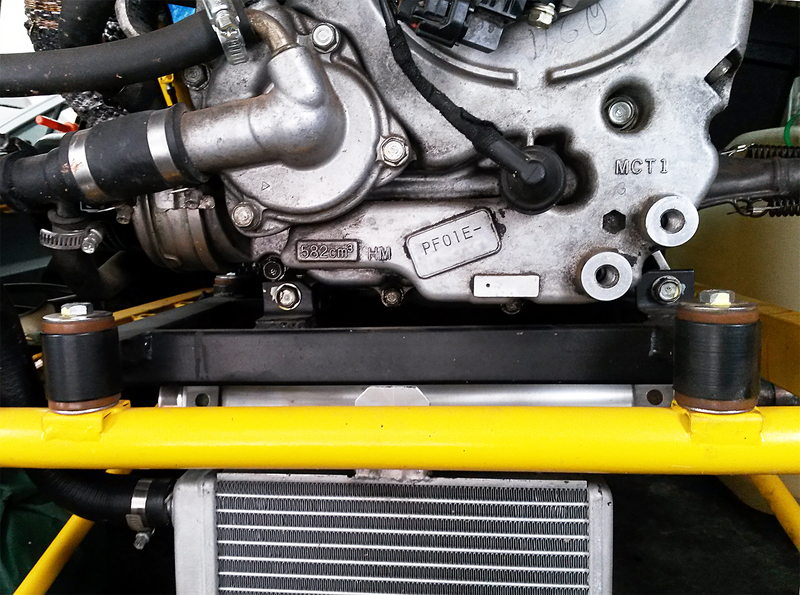 We recommend using the original mounts, if possible.The picture shows a tested solution using a sub frame under the Honda Silverwing 600 engine resting on four mounts as ROTAX engines does. Choose soft mounts similar to the original ones. If you have questions regarding our explanations or suggestions as to the site’s content, please contact by e-mail. We will get back to you as soon as possible.